TMJ (Temporomandibular Joint) disorders result in pain or difficulty chewing due to issues around the jaw joint or muscles around the jaw. 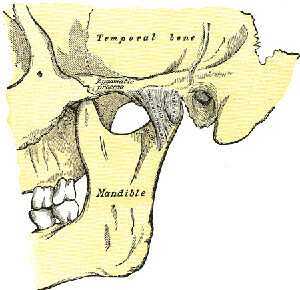 These joints that connect the jaw and the skull are called the Temporomandibular Joint. It is important to detect and treat TMJ disorders early as problems may lead to more serious conditions. Dr. Davis is a TMJ disorder specialist and can help to diagnose and treat your TMJ disorder, reducing your pain and ensure you have a healthier jaw. Actions such as grinding your teeth or clenching your jaw put stress on your temporomandibular joint and can lead to TMJ disorders. Physical injuries or disease can damage joint, as can arthritis. Stretching or tearing of muscle ligaments can cause the disk made of cartilage to slip out of position. These issues can lead to an alignment problem with your bite, pain, a clicking or grinding sound when opening your mouth, or difficulty opening your mouth wide. TMJ disorders have many treatments available depending on the cause and symptoms. Once a TMJ disorder is diagnosed, an oral surgeon such as Dr. Davis can determine the treatment needed to improve the function of your jaw. Treatment will be more successful with a team effort consisting of professional and self-care. TMJ treatment will be targeted to relieve any muscle spasms or joint pain with pain relievers, anti-inflammatory medications, or muscle relaxers. Steroids may also be injected into the joints to help reduce the pain or inflammation. Managing stress through biofeedback or physical therapy may be recommended. A splint or night guard may be used to help keep your teeth apart, prevent grinding of teeth, and allow your muscles to relax which will reduce the pain and protect the cartilage and joint surfaces. Anterior positioning appliances may be used to move your jaw forward, relieving pressure on your jaw and aiding in disk repositioning. These may be worn 24/7 in order to help your jaw heal. Orthotic stabilization appliances may be worn all day, or just at night to re-position your jaw and help protect against tooth wear. Do you need bite correction or surgery for your TMJ disorder? If your TMJ disorder leads to problems with how your teeth align, treatments such as bite adjustments, orthodontics, jaw reconstruction, or restorative dental work are treatments that may be needed. Arthroscopy and open joint repair restructuring are surgical options that are sometimes needed but reserved for only the most extreme cases. Dr. Davis does not consider surgery for TMJ treatment unless the jaw is not able to open, the jaw is dislocated and non-reducible, it has severe degeneration, or the individual has been treated with an appliance with no success.